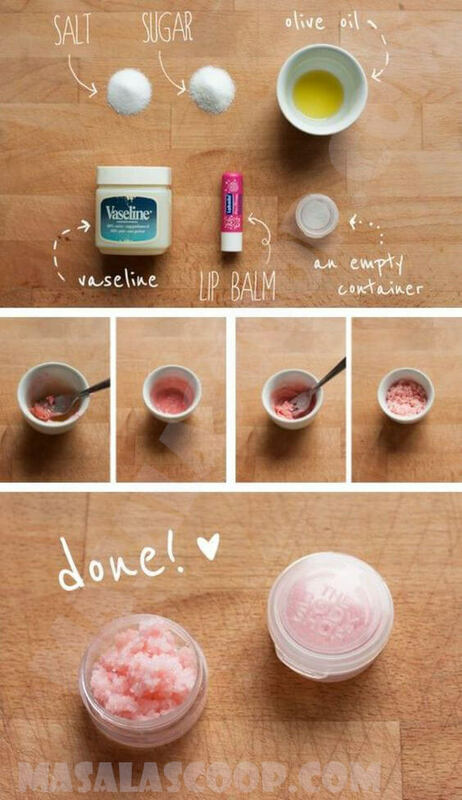 Treat your chapped lips by following the above DIY. Mix salt, vaseline, sugar, lip balm and olive oil. How many times you have taking medicine or used beauty products to make your lips more healthy and beautiful? Do you think about what those medicines can do to you? Definitely, they work, but taking those medicine and beauty products could have long term consequence on your health. So, now let's take a precise look on the factor of getting healthy, beautiful and kissable lips. Treat your chapped lips by following the above DIY. Mix salt, vaseline, sugar, lip balm and olive oil. Then put the mixture in an empty container and use it everyday. Within few days you will see quite a difference and your lips will be smooth and kissable. No trips to the specialty store necessary!.